I choose a theme for my Christmas Decorating each year. The last few years have been about fruitcake, music, and “The Birthday of the King.” I did not use my “rustic” decorations during those years. 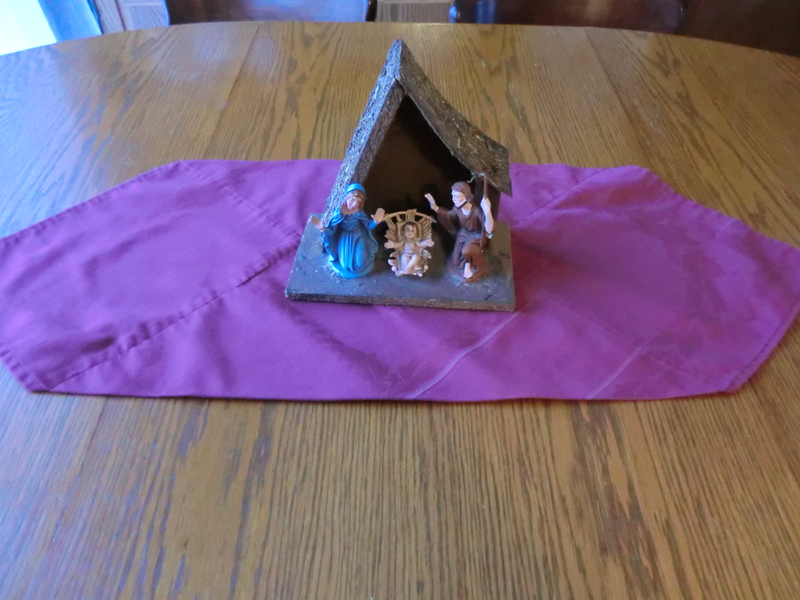 This year my theme is – “It’s All About the Manger.” I used only the rustic decorations and most of my manger scenes. 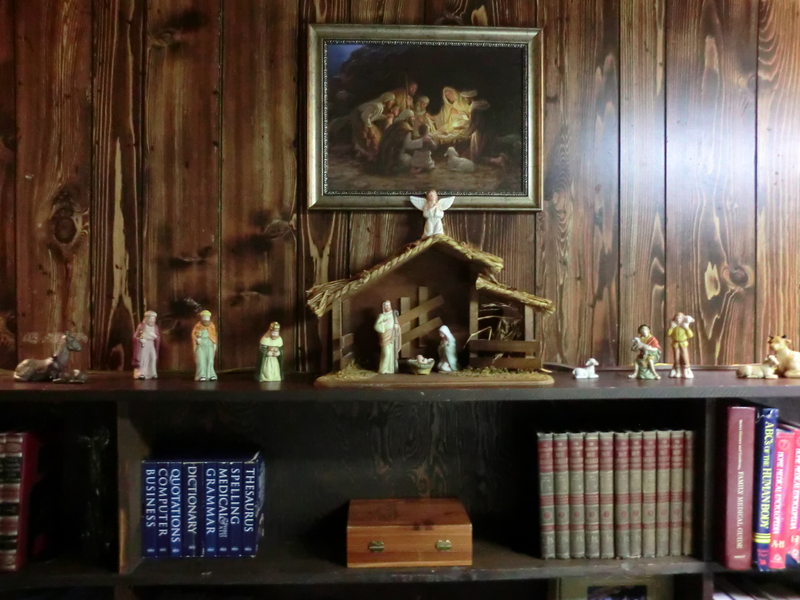 Manger Scene on my bookshelf. Since they have been in storage for the last three years, they seem like new decorations! Christmas is in one week. I give you permission to stop decorating! You don’t need to buy new decorations next year…just start with the ones you did not have time to put on display this year. This entry was posted in Decorating, Money Saving Ideas, Use What You Have and tagged Decorating, Money Saving Ideas, Use What You Have by Frugal Fish. Bookmark the permalink.